I'm a busy mom of 3 kids. And with a 2 year old and 5 month home with me full time, and the 5 year old at school. I have to plan ahead of time when I will get my workouts in. My prime time right now is when I put my 2 youngest down for mommy quiet time somewhere between 12:30 and 1:30pm. But not every day goes to plan. And I have to get creative. This past weekend, little miss Elyse decided she didn't want to nap as long as we had intended. And with a late workout time and early nap wake up...I was left with exercising with her. And it proved to be very entertaining for both of us. She had fun watching me go back and forth, and you can see it in the video. She loved being part of my routine and "flying"! 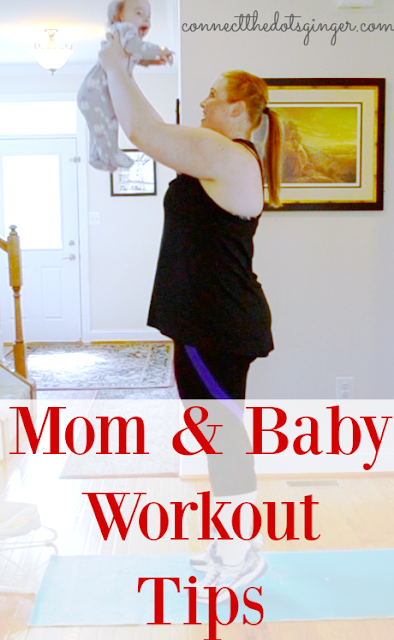 As hard as it is to exercise with a baby, and find that time just for us moms, sometimes we don't get it. That doesn't mean you don't exercise. That means you just include them with you. 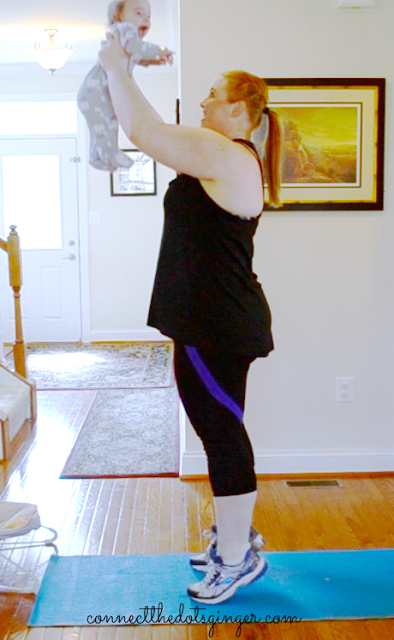 Take a peek at our workout below doing 21 Day Fix Lower Fix! 1) Slow down at watch your baby. Some moves you might have to slow down for the safety of your baby, or to help them not puke all over you. If you are going up and down, and you just fed them then you might end up covered in milk. Just slow down just a hair and watch your baby's cues. 2) Be safe. Be sure to always properly support your baby. Try not to do anything too difficult or unbalanced. 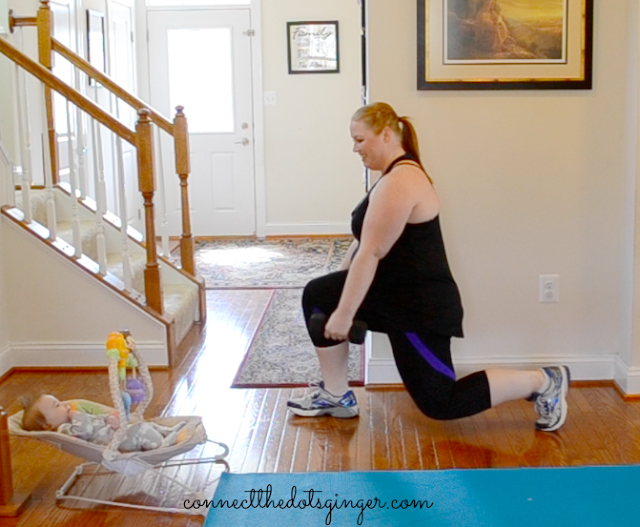 If you struggle with balancing prior to holding your baby, best not to do a balance move, like a split squat, until you are more comfortable. 3) Use proper form. Don't lose your form because you are holding your baby. Feel your body as you are doing the move. If you feel like you are losing form to compensate holding your baby, try doing the same move but with your baby on the floor or in a safe place near you. 4) Play games with your baby. Babies love peek-a-boo. Try to make it fun and interesting for them. Talk to them. Count in a silly voice. Let them feel involved. Especially if they are watching you. 5) Switch up what you are doing. Go from holding your baby, to them on the floor in front of you, then in a swing, then back to holding and so forth. You don't have to hold your baby the whole time, unless you want to. 6) Above all, have fun. Let them see you laugh, and enjoy it. Because you are instilling in to them, even at a young age, a love and desire to exercise. Be the example to them. Even as they continue to grow!